Last week Maple Gold Mines released a 3D model of the the Douay Gold Project. This is a key stepping stone for the Company but I thought it needed a little more discussion to understand what it was telling the Company. Matthew Hornor, President and CEO, and Fred Speidel, VP Exploration, joined to me today to share their insights on how the model is helping to define the work Maple Gold will be undertaking this year. The Company understands it’s all about growing and upgrading the resource. 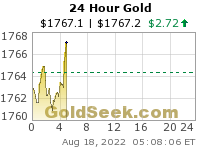 Click here to visit the Maple Gold Mines website. Please email me any other questions you have for the guys over at Maple Gold or for myself – Fleck@kereport.com. Here is the news release on the 3D model. It is helpful to follow along, especially with “Figure 2”. 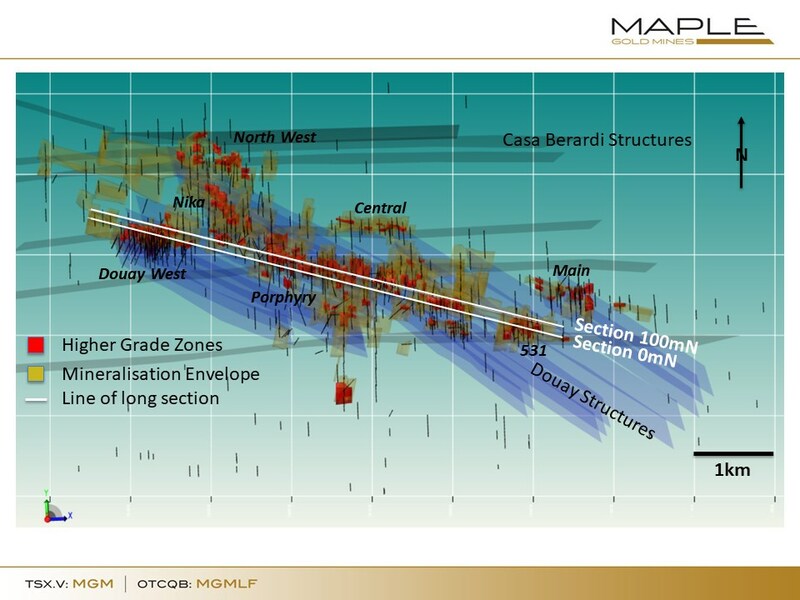 Montreal, Quebec–(January 16, 2019) – Maple Gold Mines Ltd. (TSXV: MGM) (OTCQB: MGMLF) (FSE: M3G) (“Maple Gold” or the “Company“) has created a new 3D geological and structural model for its Douay gold project, located on the prolific Casa Berardi Deformation Zone near Val d’Or, Quebec. 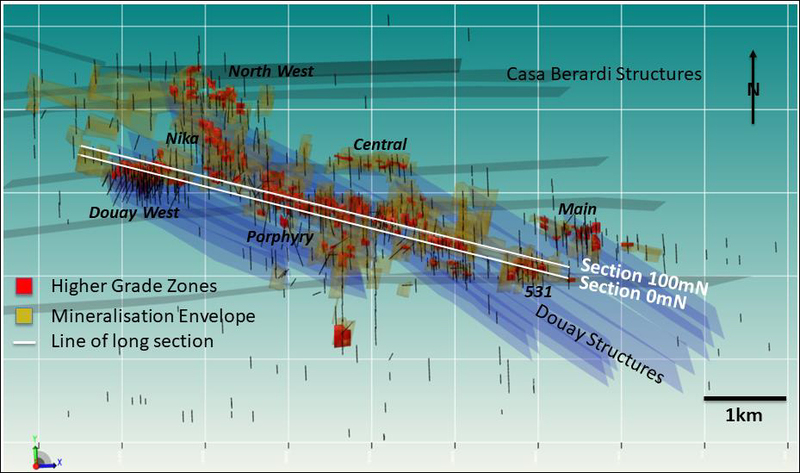 The Douay deposit currently contains 2,759,000 ounces Au in the inferred category and a further 479,000 ounces Au indicated using a 0.45 g/t Au cut-off grade (Micon 2018). 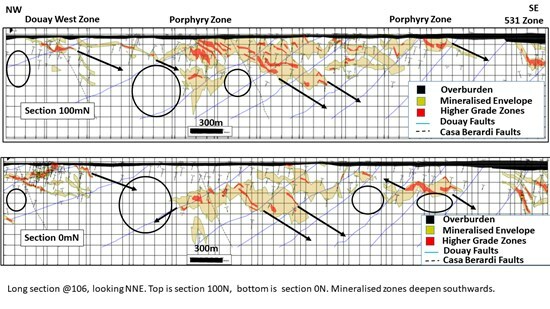 The Micon 2018 resource does not include the new drill data from the winter 2018 campaign, and is open along strike and down dip. The new 3D model will improve targeting of additional resources in subsequent drill campaigns and forms the foundation for an updated resource estimate. 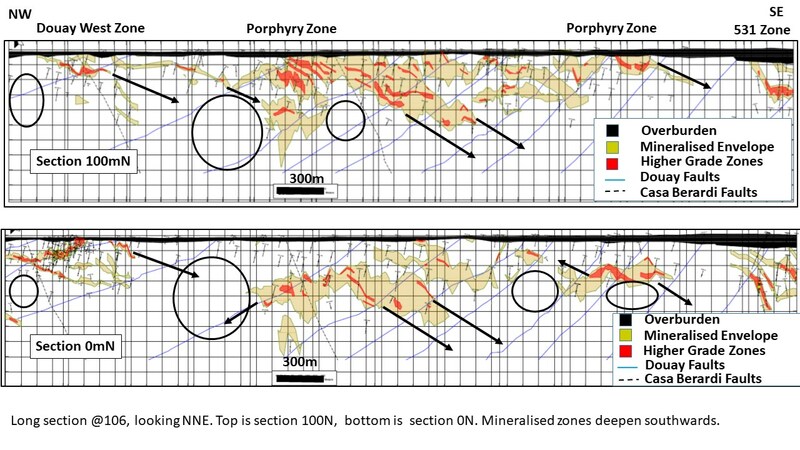 This news release contains “forward-looking information” and “forward-looking statements” (collectively referred to as “forward-looking statements”) within the meaning of applicable Canadian securities legislation in Canada, including statements about the prospective mineral potential of the Porphyry Zone, the potential for significant mineralization from other drilling in the referenced drill program and the completion of the drill program. Forward-looking statements are based on assumptions, uncertainties and management’s best estimate of future events. Actual events or results could differ materially from the Company’s expectations and projections. Investors are cautioned that forward-looking statements involve risks and uncertainties. Accordingly, readers should not place undue reliance on forward-looking statements. Forward-looking statements include, but are not limited to, statements regarding timing and completion of the private placement. When used herein, words such as “anticipate”, “will”, “intend” and similar expressions are intended to identify forward-looking statements. I closely track metal prices globally. There are often seasonal variations….often religiously related. Currently, there appears to bea slightly anomaly in Gold and Silver not quite tracking normally. Demand for gold in in India, China is flat, but silver demand is increasing slightly. Thus while Gold prices worldwide do not show much variation, silver is low in Europe and the US compared with the rest of the world. 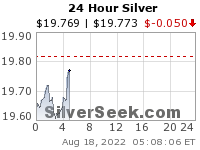 Or, put another way, Silver appears anomalously high in Asia compared with the Western world.